Another week means another Mission Giveaway! If you're a regular participant, you're sure to notice that we have changed it up quite a bit after hearing feedback from those who enter them regularly. We hope this method will make it easier for everyone! 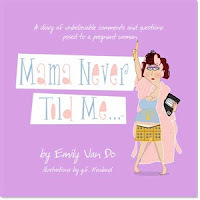 Emily Van Do got tired of the dopey comments she heard when she was pregnant and later as a first-time Mom, she decided to fight back (in the literary sense, of course)! Emily connected with the talented NYC artist, G.F. Newland, and the Mama Never Told Me...® cartoon books were born! Mama Never Told Me...® has lots of fun things happening! The books are currently featured in the August issue of Pregnancy & Newborn Magazine! 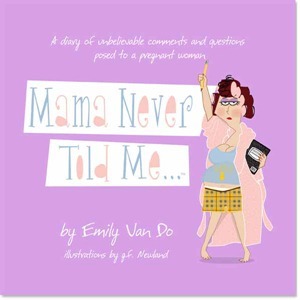 Another exciting debut is Emily's blog at Mama Never Told Me...! 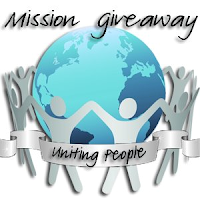 To celebrate, we are giving away a grand prize for you and a friend! The Mama Never Told Me...® cartoon books can be purchased in paperback form for only $9.95 at MNTM Blog or download exclusively on amazon for only $2.95! The Giveaway will open up on Monday 9/24 at 10 pm EST and close on Friday 9/28 at 10 pm EST. 1. Follow our sponsor on Facebook and Twitter. Tweet it Out: Retweet the message below on Twiter. I would pay it forward to my BFF Jodi. She is always there to help when anyone needs it.